Every year I try to undertake a styled wedding photo shoot which offers an opportunity to test equipment or try out new photo techniques – without the pressures of being a ‘live job’. Late Autumn last year, we tested a couple of lenses one of which was bought for the forthcoming wedding season, the other hired in. Our studio and the grounds of the Haining Estate, Selkirk provided the setting. All our wedding packages include a considerable number of photos supplied in black and white in addition to all the full-colour versions. When processed this way they often take on a classic, timeless appearance. 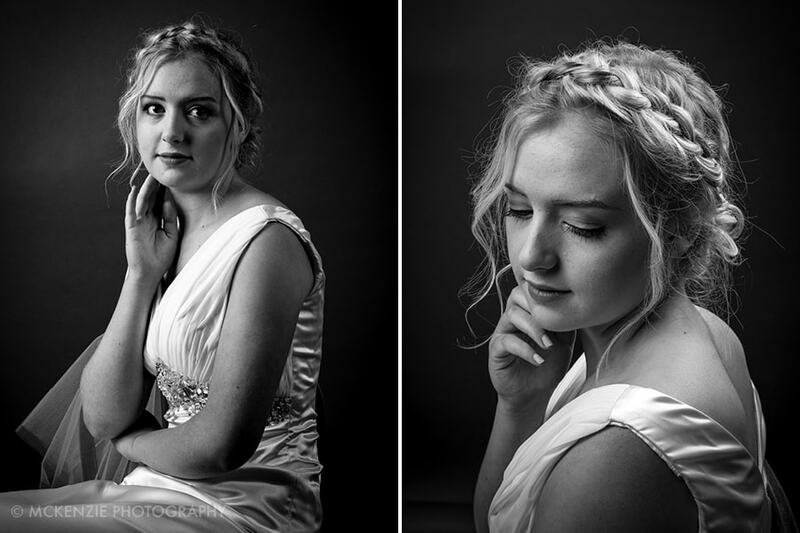 Of course, this was helped considerably on our shoot by Louise’s fantastic platted hairstyle – created by the talented Rachael Jack, it looked great despite very windy conditions outside!